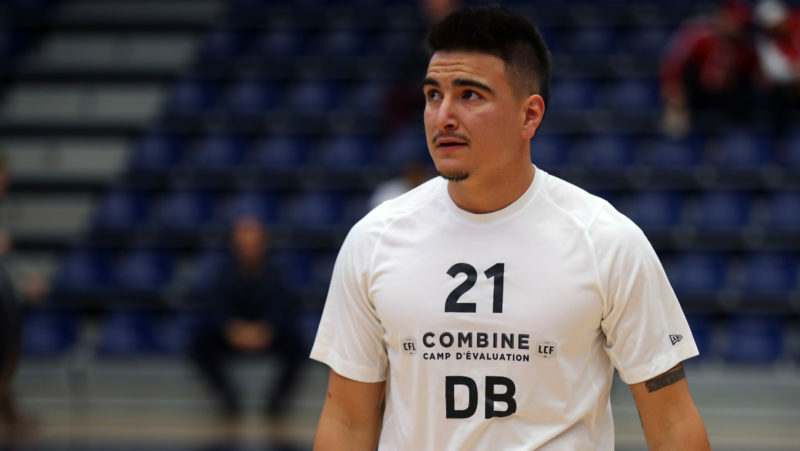 TORONTO — It was a standout first day of the CFL Combine presented by New Era, as the country’s top prospects took part in the vertical jump and bench press at the U of T Goldring Centre in Toronto. Alberta’s Jonathan Harke led the field with 32 reps on the bench press, while Jacob Dearborn repeated his efforts in the vertical with a 42-inch jump. Laurier defensive lineman Robbie Smith and Queen’s receiver Chris Osei-Kusi had strong all-around days, backing up their status as projected first-round draft prospects. 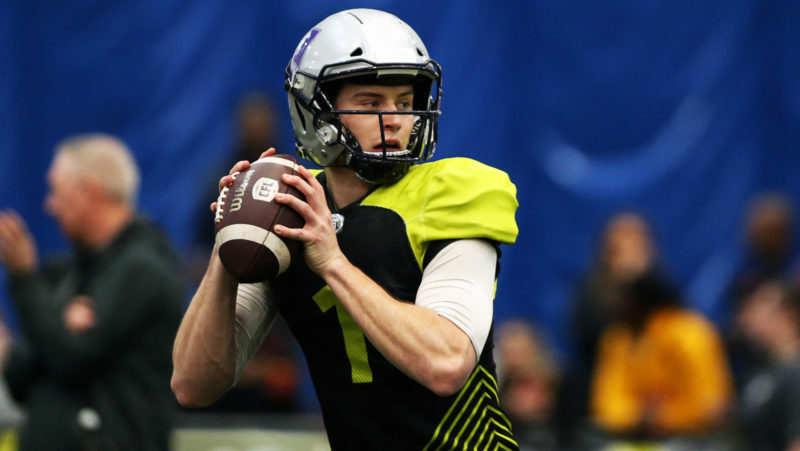 CFL.ca’s Marshall Ferguson weighs in with his top three prospects on Day 1 of the CFL Combine. With top receiving prospect Justin McInnis sitting out this weekend’s testing, someone had to step up and Chris Osei-Kusi answered the bell. The Queen’s receiver didn’t have the best year statistically but impressed scouts with not only his physical traits but his personality and demeanour. Ferguson said the six-foot, 192-pound receiver could easily be a first round pick come the May 2 CFL Draft. “I talked to a couple of scouts and he interviewed crazy well,” said Ferguson. “He was asked by one scout in an interview Friday to explain his decreased production in 2018. The scout was fully expecting him to answer by blaming his quarterback or his coach, but Osei-Kusi explained that when certain teams decided to roll coverage his way, he just played his role and did anything he could to help the team. 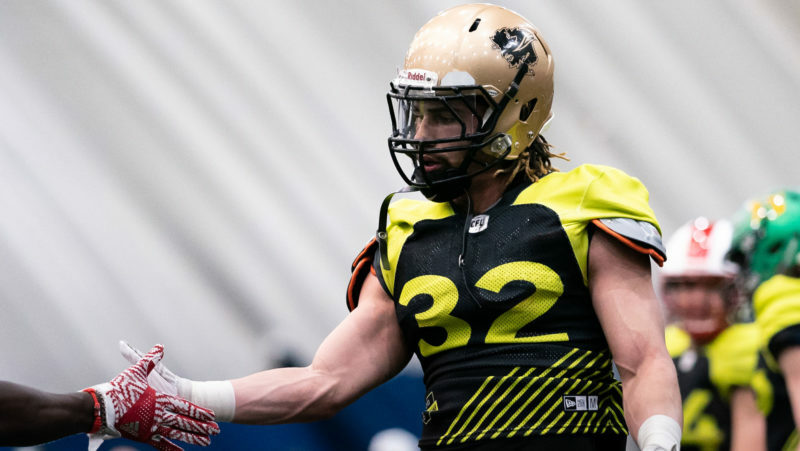 Already the CFL Draft’s projected sixth overall pick by Ferguson (Mock Draft 1.0), Robbie Smith lived up to the lofty expectations on Saturday, putting up strong numbers in both the bench press and vertical. Smith’s 36-inch vertical was the best for a defensive lineman since Stefan Charles (37 inches) in 2013, while his 23 reps on the bench press were better than his draft comparable and fellow Laurier graduates Kwaku Boateng (15) and Ese Mrabure (17). Ferguson believes Smith can close the deal on being a top prospect with a strong performance in Sunday, particularly in the 40. While it wasn’t a combine record, Jonathan Harke did what he needed to with 32 reps on the bench press to lead the field. Harke showed he’s strong enough to play offensive line at the next level, setting up an important Sunday of testing at the University of Toronto. Continuing coverage of the combine will be available on CFL.ca starting at 10 a.m. ET on Sunday.